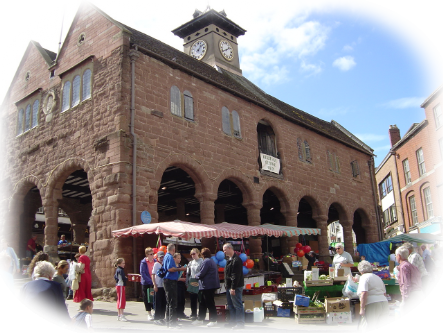 High on a sandstone cliff overlooking a large loop in the beautiful River Wye is the historic country market town of Ross-on-Wye, often noted as 'the Gateway to the Wye Valley'. 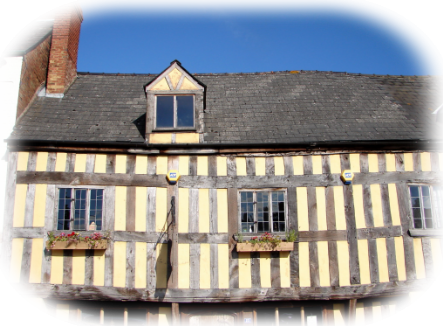 It is an attractive and friendly town with Tudor timbered houses clustered around the striking 17th century market hall where bustling markets are still held every Thursday and Saturday. 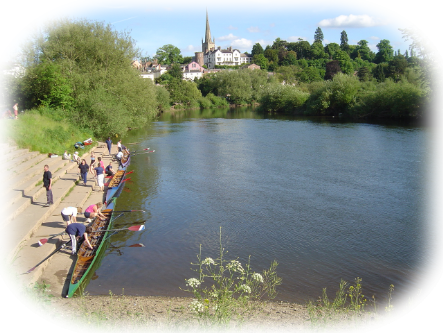 Dominating any view of Ross-on-wye is the steep spire of St. Mary's Church reflecting elegantly in the waters of the Wye and is especially captivating at night when illuminated against the dark sky. Beside the church are The Prospect Gardens boasting a stunning viewpoint looking down upon the river and over surrounding fields and countryside - the main features of the view being identified by a toposcope.